In the battle for the City of Sydney, one party is hoping to attract votes by promising free city-wide Wi-Fi, an app to get you home safely after a night out and open sourcing the city’s data. Sydneysiders go to the polls next week to appoint 10 councillors and their city’s next Lord Mayor. 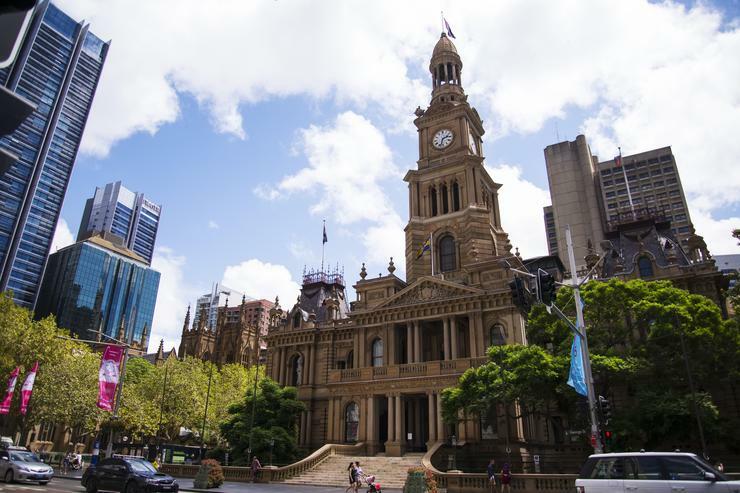 The independent Sydney Matters party has put forward plans for a ‘major technology overhaul’ in a bid to secure power of Town Hall. The team has proposed six initiatives as part of its ‘Smart City Strategy’ which also features the appointment of a chief digital officer and the roll out of sensors across the city to capture data to enhance service delivery. The team, whose key players include Lord Mayoral candidate, councillor Angela Vithoulka and former president of the Australian Computer Society councillor Edward Mandla, are also proposing the development of a ‘3D online strategic planning, development assessment and community engagement tool’. “While others are embracing the internet of things and smart cities strategies to drive smarter thinking that moves beyond the analogue era, the leadership of Town Hall appears to be stuck in the Commodore 64 technology age,” said Clr Vithoulkas. “While other Australian major capital cities have appointed a chief digital officer reporting directly to the CEO to promote the opportunities of technology, in Sydney technology falls under the directorate for human resources. Vithoulkas' running mate Mandla, who ran in the 2012 mayoral elections for the Liberal Party, championed a city-wide Wi-Fi network equal to New York’s LinkNYC network. “Unfortunately to date it has been a stretch, given the city has been unable to deliver effective Wi-Fi for its public access computers in libraries, community centres and childcare centres, let alone reliable Wi-Fi coverage for the councillors offices,” he said. Their app, the party said, would use ‘infrared sensors in nodes placed strategically throughout the city’ to map the most heavily populated route from venues to people’s homes or next destination. It would also give users “access to guided tours using augmented reality, location based offers, hints on hidden gems (cafes, galleries, precincts) and loyalty programs”, Mandla added. The City of Sydney currently offers a number of apps, one of which locates food trucks and another to help plan cultural walks. Other candidates for Lord Mayor include Liberal candidate Christine Forster, Labor candidate Linda Scott, incumbent independent Clover Moore, and Greens candidate Lindsay Johnston. Can Australia sow AgTech advantage?